Accept donations and “name your own price” payments with Leaky Paywall. Let the subscriber set their own price for a level. 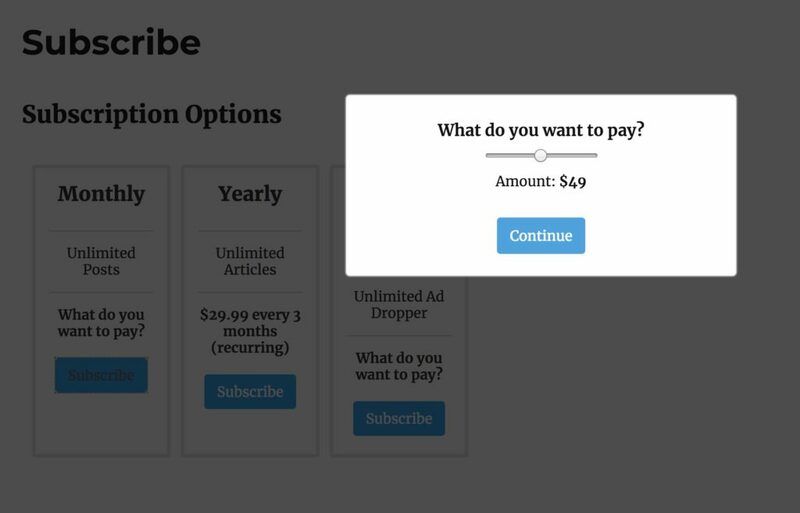 Allow subscribers to pay what they want for a subscription level. Set a minimum and maximum amount requirement. 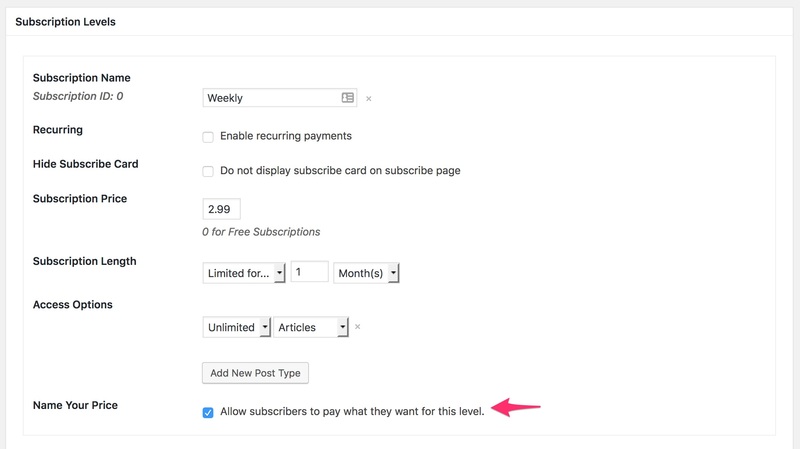 Choose which levels you want to allow subscribers to name their own price. Choose which type of input to show the user, a data slider or a number input. A great way to allow for donation type payments! To edit the Name Your Price settings, in your WordPress admin go to Leaky Paywall > Settings > Subscriptions.